Mirror carp - scaled with large, uneven mirror like scales. Where there are no scales the body is smooth. Linear carp - scale less except for a row of large scales that run along the lateral line on both sides. Leather carp - smooth bodied, virtually unscaled except near dorsal fin. Grass carp - similar to the common carp but normally has a longer, thinner body. Ghost carp - same as the common carp but it is all white with two black eyes. Koi carp - this is more of an ornamental fish. 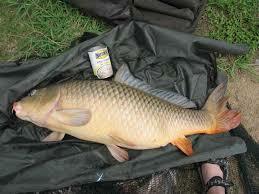 Similar to the common carp but its colours include orange, black, red, yellow, and a combination of these colours. Common carp are fully-scaled. Their scales are of an equal size throughout the length of their body. These carp tend to be slightly thicker across the body than other carp, and have the ability to pack on the pounds very swiftly indeed, given the right conditions and a plentiful supply of natural food. Mirror carp have scales of different sizes running the length of the body - some scales may be the size of your thumbnail, while others may be as long as your index finger. They are very pretty fish and, like the common carp, will quickly increase in weight until they reach net-busting proportions. There are fully-scaled mirror carp (bodies covered in differnt sizes of scales) and linear mirror carp (having a line of scales running along each side of the fish). common carp and koi carp. They are known to be much harder fighters than their cousins and as such a large Ghost is often seen as more of an acheivement than a large common or mirror. Carp are caught using various methods including float, ledger or feeder. The feeder or ledger is generally the first method anglers try when fishing for carp and is a popular method used by specimen anglers fishing for carp. 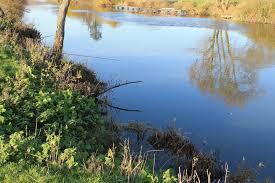 There are also many baits for catching carp and some carp anglers swear by the use of boilies. Although boilies are a good bait don't overlook the other baits such as sweetcorn and those listed above. Luncheon meat, boilies, trout pellets, Chum mixer or any other dog or cat biscuits, tiger nuts, peanuts, maize, worms, dendrobaena worms, red worm, brandlings, bloodworm, bread (either crust, punch, flake or paste), casters, maggots, pinkies, and sweetcorn. Carp are also caught using a floating bait like bread crust. 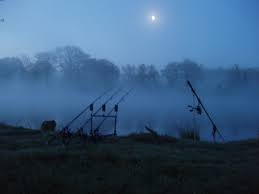 Carp respond well to groundbaiting so if you can, pre-bait the area you are going to fish. Lay a bed of groundbait using brown crumb or continental groundbait with hemp or sweetcorn, casters, chopped up worms or a mix of these and some of your hook bait mixed in. Tiger nuts and peanuts are also used for groundbaiting but these should be thoroughly soaked beforehand. The margins are a magnet to feeding carp of all sizes. 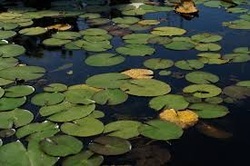 Surface fishing tight to lilies is brilliant during the summer. Night fishing offers the best chance for mega specimens.